This oriole prefers woodland habitats to closed forests. 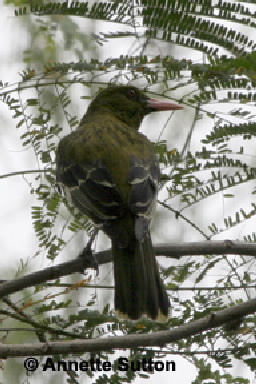 Head and back are olive-green in colour, underparts are cream with black streaks, wings and tail are dark grey with white tips and the undertail coverts are whitish. Legs and feet are dark grey, eyes red, bill orange to red-coloured.